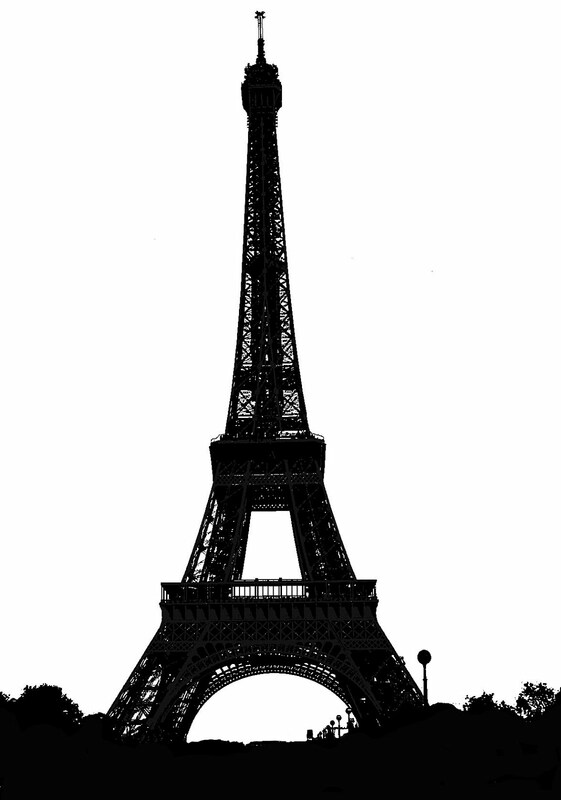 Here some sketches and silhouettes of the Eiffel Tower in Paris, which is a landmark of the city of Paris. These images are based on photographs taken by me. 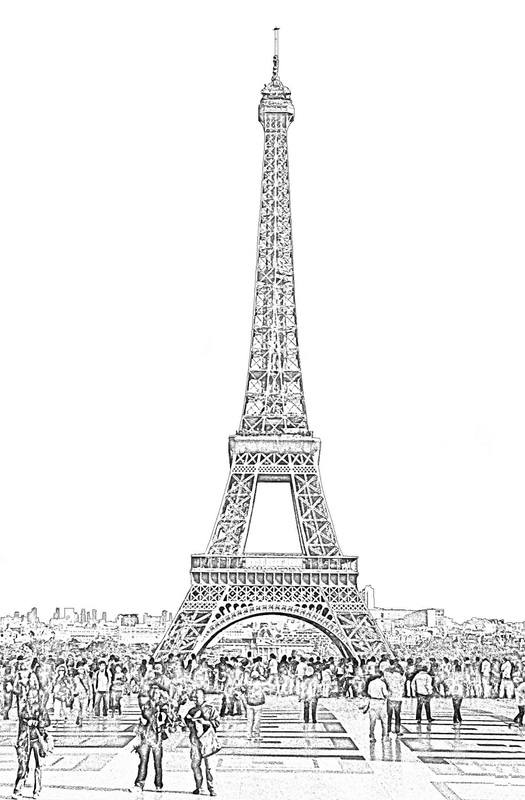 This sketch shows the Eiffel, an iconic monument of Paris, from the front, with tourists all around. This is a sketch of a worm's eye view of the Eiffel Tower. A view from the bottom. 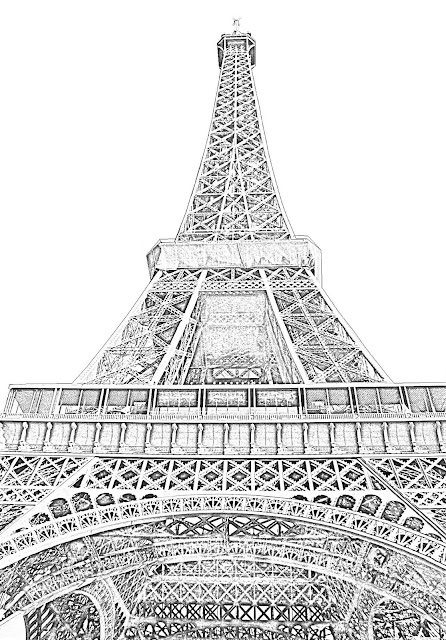 The intricate lines of this metallic structure are visible in the drawing. A black silhouette of the Eiffel Tower in Paris. 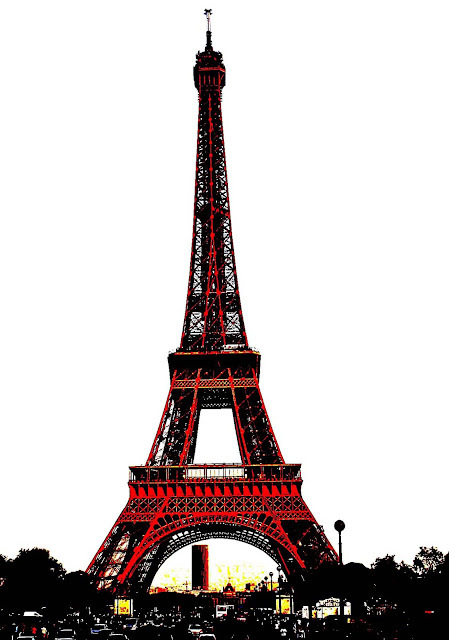 A reddish brown silhouette of the Eiffel Tower in Paris. Related Images: Try the label Silhouettes or the label Sketches for more silhouettes and sketches of people and buildings and monuments from different parts of the world.